In a microwave-safe bowl, combine sugar and water. Stir well until sugar is completely dissolved. Microwave on high for about 6 to 7 minutes or until color changes to honey-gold. Immediately pour caramel into ramekins. In a medium bowl, combine eggs, coconut milk, evaporated milk and condensed milk. Gently stir in a circular motion until blended. With a cheesecloth, strain egg-milk mixture. Pour strained mixture into prepared ramekins. Cover ramekins with foil and arrange in a wide, oven-safe dish with about 1-inch of water (water bath). Bake in a 375 F oven for about 40 to 45 minutes or until toothpick inserted in the middle of custard comes out clean. Remove from oven, allow to cool and refrigerate to completely set. 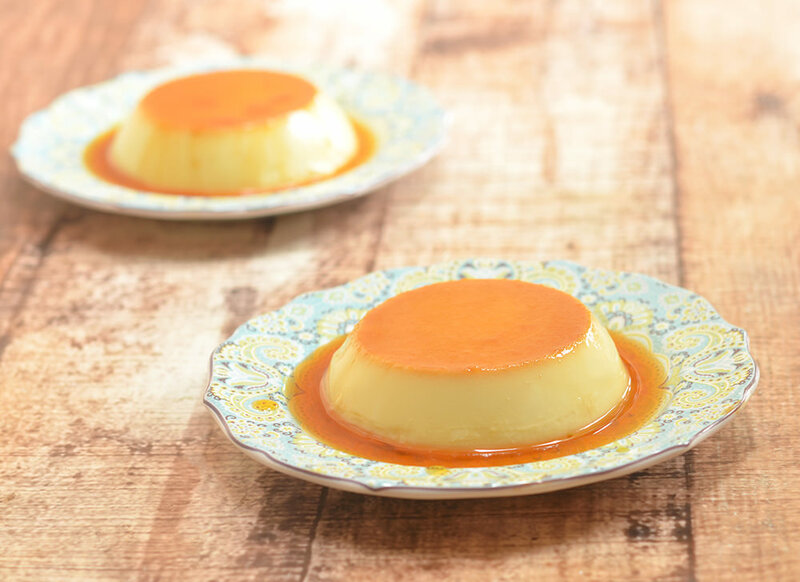 To serve, turn flan over on a serving plate, ending with caramel on top.